A name that appears frequently in the motoring press in the early years of the 20th century is that of Mary Kennard. At a time when few ladies drove she became a leading advocate of both motoring and motorcycling for women. The wife of Edward Kennard, a land owner and former journalist, Mary Kennard made a name for herself in late Victorian and Edwardian Britain as a prolific novelist, writing as Mrs Edward Kennard. Her writing was based mainly around country sports. She was one of twenty-four authors, among them Bram Stoker and Sir Arthur Conan Doyle, who contributed to the The Fate of Fenella in 1892. 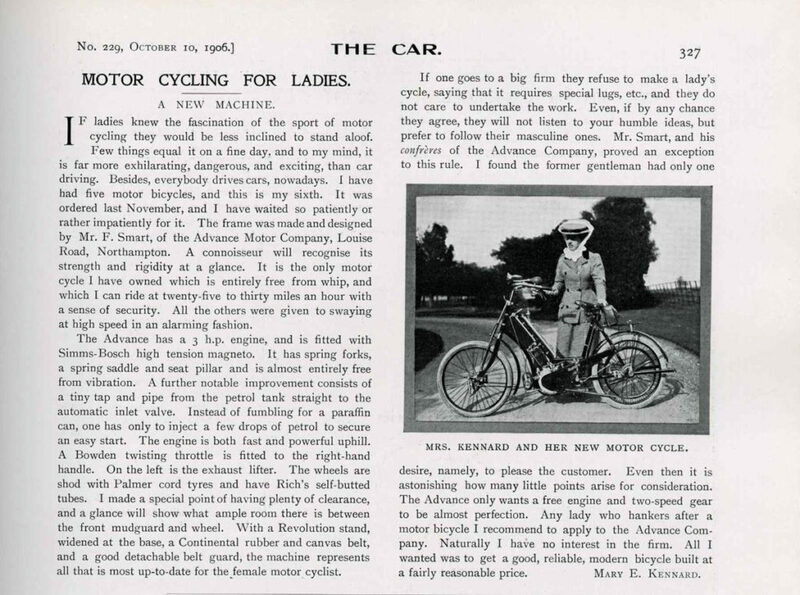 Like many of the period, she was a keen cyclist, writing A Guidebook for Lady Cyclists in 1896. In 1899 she began driving in a 3½hp Benz and in the years that followed became increasingly involved in advocating motoring. Mr Kennard was himself a well known early motorist and was the owner of the first production Napier, the car driven by SF Edge in the 1,000 Mile Trial of 1900. Mrs Kennard, although not registered as an official entrant, completed most of the route of the trial at the wheel of a De Dion Bouton Voiturette borrowed from Edge. Meeting with a minor incident near Northampton in the latter stages, she retired to the family home at Market Harborough, later receiving a reprimand from the car’s famous owner for driving too fast for the circumstances in which she found herself. Mary Kennard was both a keen motorist and hands-on mechanic, reputedly having her own overalls which she wore when carrying out repairs, assisted by Brooks her chauffeur. Mary Kennard died in 1936, by which time her success as a novelist and pioneer motorist had been long forgotten. 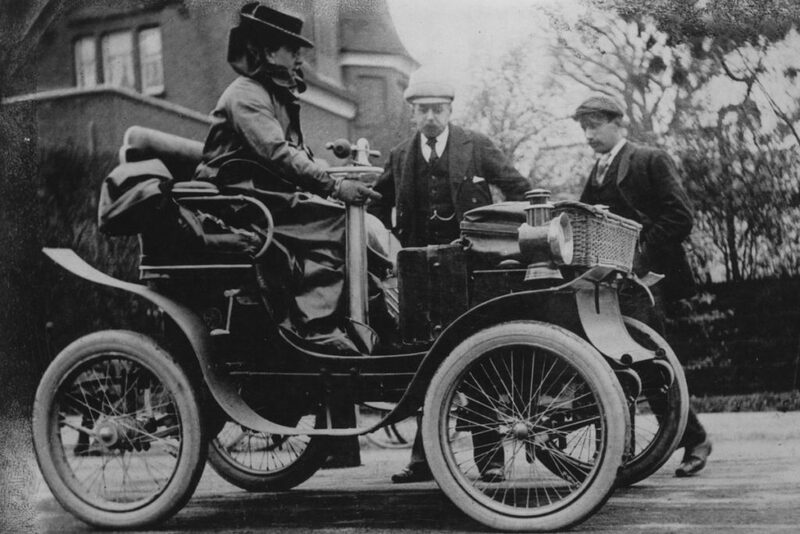 Discover more from our The Drive for Change project, exploring the connection between motoring and the suffrage movement, and the emancipation of women in the broader context.